1887 #2 90% Silver Morgan Dollar. 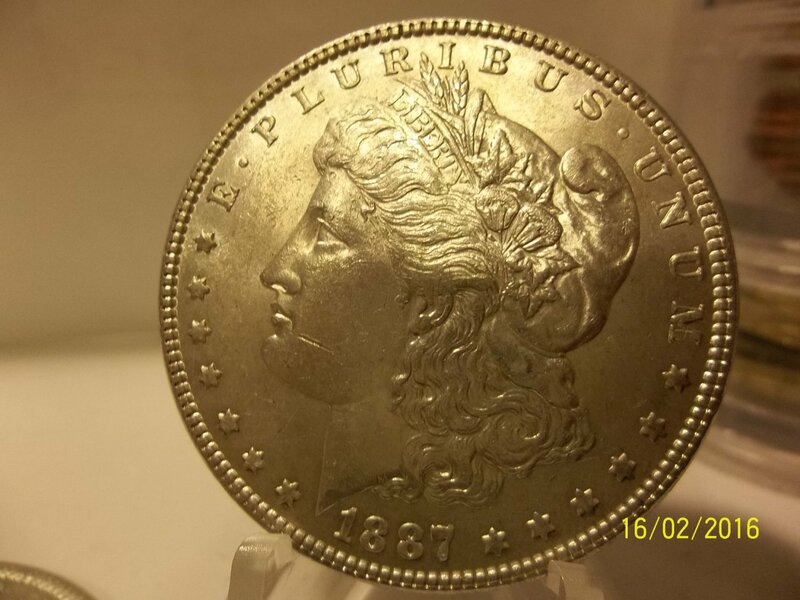 1887 #2 90% Silver Morgan Dollar. With extremely low mintage of 20,290,000! You will receive this exact coin. Comes in a 2x2 coin holder. 1879-1929 Thomas Edison "Light's Golden Jubilee" Token. 1964-D Gem BU #7 90% Silver Roosevelt Dime. Gem BU 2011 Walking Liberty One AVDP OZ. 1922 #12 90% Silver Peace Dollar. 1916 #1 90% Silver Mercury Dime.